In 1932 Eruera Tirikatene won the byelection for Southern Maori. Tirikatene became the Ratana movement’s first MP. In 1935 Haami Tokoru Ratana secured Western Maori – the movement’s second seat. When Tirikatene took office the movement instructed him – and later Haami Tokoru Ratana – to vote with Labour. 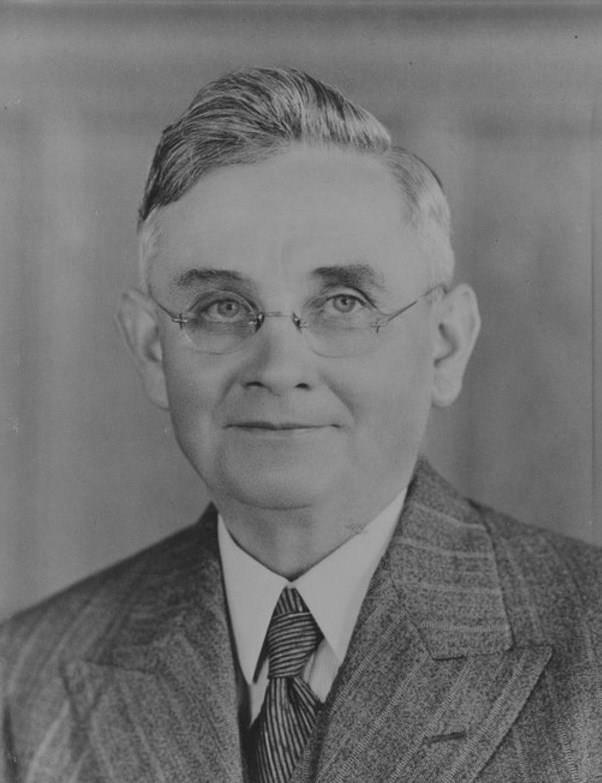 Recognising the electoral potential, Prime Minister Michael Joseph Savage and Tahupotiki Wiremu Ratana (the movement's founder) met in 1936 and established the Ratana-Labour alliance. Three huia feathers. The feathers represented Maori. The huia is extinct – killed by introduced species and habitat loss – and its death represented the struggle of the past century. A pounamu hei tiki. The pounamu represented mana Maori. A kumara (or potato depending on the source). The kumara represented the land taken from Maori (i.e. the loss of the Maori sustenance base) and ongoing poverty. A broken gold watch. The watch represented the broken promises of the Crown including the broken promise of the Treaty. And a badge shaped as a whetu marama (crescent moon). The crescent moon represents te tohu o te Maramatanga – a sign of enlightenment. If Savage could restore the mana of the Maori people (the pounamu), eliminate Maori poverty (the kumara) and rectify the broken promises of the Crown (the broken watch) then he would earn the right to wear the three huia feathers. The gifts had an enormous impact on Savage. It’s said that before he died he left instructions to have the gifts buried with him. Cynics say that Labour's commitment to Maori was buried with Savage and the gifts. I don't believe that. Well, not entirely. Maori have a 77 year relationship with Labour. But despite the depth and symbolism of that relationship, it's been one-sided. Maori voters awarded Labour with a 50 year monopoly in the Maori seats. In 2011 Labour won more than 40% of the party vote in the Maori seats and more than 50% in previous elections. But that loyalty has often been sacrificed to expediency. How Shane Jones is treated when he (inevitably) loses the leadership race will determine the health of the Labour-Maori alliance (it's no longer a Labour-Ratana alliance). Maori are watching closely. It's argued that right wing governments have helped Maori to climb the greasy pole better than their Labour counterparts. Sir James Carroll was a deputy Prime Minister and Acting Prime Minister in the Liberal government in 1909 and 1911. The Liberal Party was a precursor to the National Party. In 1996 Winston Peters secured the deputy Prime Ministership in a National government. There's also Ngata and more recently Parata, Bennett, Bridges and so on. A similar tradition of Maori leaders is harder to find in the Labour Party. But Labour has done more for Maori as a people, apparently. I take that view as correct. It was Norman Kirk who appointed Matiu Rata Minister of Maori Affairs - the first Maori to hold the position since Ngata - and the third Labour government that created the Waitangi Tribunal and the fourth Labour government that empowered the tribunal to investigate historical claims. The establishment of the tribunal and the Treaty settlement process has done more to influence Maori development than, say, Winston Peters holding the deputy prime ministership ever did. But symbolism can't be ignored. There's historical context. If Labour continues to refuse to put Maori in positions of power and leadership, the perception will strengthen that Labour treats Maori as vote fodder. With the Maori Party to the right and Mana and the Greens to the left, Labour is in danger of destroying the Maori-Labour alliance. There's choice in the Maori seats now. Labour can't rely on being the best of a bad lot. So here's the call: there's no need to elect Shane Jones to reaffirm the Labour-Maori alliance. David Cunliffe seems to have some mandate from members of the Maori caucus and he has made noises around the importance of winning a mandate from tangata whenua. But if Shane Jones isn't given a leadership position after the race - top 5 or better top 3 - then Labour can expect another decrease in its vote in the Maori seats. And who could blame us. It's sometimes a one-sided relationship. Post-script: here's an earlier post I did on Shane's run. And again for transparency: I've already declared for DC, but I want to keep putting context to Shane's run. He might be sexist, but his run represents far more than an egomaniacal sexist running for the sake of his own perception of self importance. Reducing it to its bones, our post-Treaty political history can be divided into four stages: the mid to late 19th century and the imitation of British political institutions, the late 19th century to the early 20th century and the flock to religion and its leaders, the mid to late 20th century characterised by urbanisation and unionism and the Treaty settlement phase with the adoption of a Maori model of Anglo-American capitalism. The Treaty settlement phase hasn’t ended. But Shane Jones and his bid for the Labour leadership signals that that phase might be closing. The Treaty settlement era is characterised by the adoption of the neotribal model. Accumulating economic power was and is seen as the most effective way to achieve tino rangatiratanga. That might well be right, but Shane’s run for the leadership signals a new approach. “Power is a lot like real estate. It’s all about location, location, location. The closer you are to the source, the higher your property value”. That sums up Shane’s approach to achieving tino rangatiratanga: you have to get to the source of power. In this case, the Prime Ministership or a position close to it. The Cabinet controls the executive and (in our Westminster system) the Parliament. The Maori Party has adopted the approach as well (in watered down form). Two of their MPs might hold ministerial warrants, but they’re not members of Cabinet. They’re on the periphery of power and their value is low as a result. In the government, the heavy lifting and influence is held in the top, say, five members of Cabinet. In the current government power seems concentrated in the Key/English/Joyce tripartite. Shane is aiming to form or be a part of an equivalent power group. Hei oranga mo to tinana. As means to support and sustain you. Hei tikitiki mo to mahunga. As a plume for your head. Nana nei nga mea katoa. The source of all things. Shane lives that. For that reason alone – casting aside the strategic significance of the bid – Shane might be worth supporting. Post script: although I tautoko Shane’s run, I’ve already declared for Cunliffe. I’ve set out my reasons at The Daily Blog and I don’t retract them. This post is an attempt to put Shane's run in its proper context. Shane is polarising. My politics aren’t closely aligned with his (except on Maori issues) and I'm unsure how he will change the left. "Geldings", too. Enough said. Should a Māori MP stand for the leadership of the Labour Party? "E rua ngā wāhanga kei roto i Te Tiriti o Waitangi. Ko te taha ki te Pākehā, ko te taha ki a tāua ki te iwi Māori. Whaia te maramatanga e puta ai te houhoutanga o te whakawhanaungatanga; tēnā iwi, tēnā iwi, te iwi Pākehā me te iwi Māori, ā me ngā iwi e noho horopani ana ki Aotearoa. Mā Te Tiriti, e kukume mai te iwi kia whakakotahi i a tātou." At present Māori issues aren't being considered in this leadership contest. But the beauty of the new rules adopted by the Labour Party is that a democratic selection process is being used, a primary election. The process is similar to the rules used by UK Labour Party. In the leadership election that followed the resignation of Gordon Brown in 2010, a healthy and robust selection process was used. Diane Abbott, a long serving Labour backbencher, stood in the election and was consistently dismissed by the mainstream media and political pundits. But she brought issues to the fore that needed to be heard in the Labour Party itself. As a black woman and a staunchly Left MP, she represented a huge part of the population that is consistently marginalised in British politics. She didn't win but when Ed Miliband won the election he appointed Abbott as a front bench Shadow Health Minister. A run in the primary election by one of the Māori MPs could produce similar outcomes, and may end up with that candidate being elected Deputy Leader. I’m not of the view that Shane Jones could do this effectively as he is despised by other minorities in the party and probably most of the female members. It’s unlikely if even the Māori caucus would unite around Shane Jones. Nanaia Mahuta appeared on Te Karere and said she thought David Cunliffe was ready to go as leader and that she didn't see Jones as one of his supporters. This made it clear that she wasn't pushing for a run by Shane Jones. But in my view, she and the other Māori MPs should consider a run. Louisa Wall and Moana Mackey would also be well placed to do this. As John Tamihere pointed out in the above video, they aren't going to realistically win the election. But they could ensure kaupapa Māori and Te Tiriti o Waitangi are firmly on the Labour Party’s agenda. Māori have supported the Labour Party for over 80 years, but in recent years Māori support has been taken for granted. It's time for a Māori voice in a leadership position. UPDATE: Duncan Garner has announced on Twitter that Shane Jones is in the race. While it's pretty clear I'm not one of his fans, good on him all the same. At least one Māori MP is in the race. It will be interesting to see if the Māori caucus support him. P.S - this also raises another question; should Haare Williams stand for Parliament? He would be an ideal candidate for Labour and add real depth to their Māori caucus. He may feel that his efforts are more needed on the organisational side of the party, but he could be an excellent Labour MP if he wanted to be. There are rumours going around that Shane Jones may not stand in Tāmaki Makaurau. Is this because Williams is considering a run, or is Shane Taurima angling for it? Last month while on a visit to Taranaki with Andrew Little, Shane Jones made his latest attack on the Green Party. Taranaki is one of the biggest parts of my electorate Te Tai Hauāuru and is where I whakapapa to. Jones, in his capacity as Labour’s Māori Affairs and Regional Development spokesperson thought it appropriate to distance Labour from the Greens so called “anti-development” agenda. Jones seems to think that oil drilling and gas exploration are popular in Taranaki, even though they aren't on the East Coast. Well, Mr Jones is simply wrong. We as Māori, whether we are from Taranaki, Gisborne, Kaitaia or Dunedin, have a fundamental commitment to the protection of Papatuānuku. What makes his argument even more disingenuous is that the Greens don't even oppose most shallow oil drilling in Taranaki. We oppose risky deep sea oil drilling that has no adequate environmental safeguards. We do support a moratorium on fracking and we know that the oil and gas industry is not the answer to our youth unemployment problem. 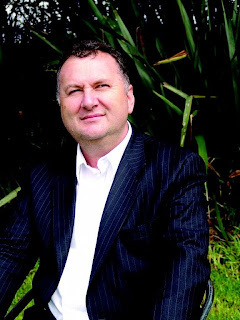 By painting the Greens as the opposition to economic development on the basis of their opposition to oil drilling, Jones is doing a disservice to prominent Māori values and perspectives. Māori and the Greens have a holistic world view. We can’t have a prosperous economy and high quality of life without a healthy environment at its foundation. "Sustainability is as much about sustaining the livelihood of people as it is about guarding the ecological habitat of the Hochstetter's frog. As long as I am in politics as a Maori politician I am going to be unambiguous in standing up for jobs and people,"
The Greens do stand up for jobs and people, consistently. Indeed their track record on these issues is much stronger than Shane Jones’. Sustainable development and jobs aren't mutually exclusive concepts. They work hand in hand. Interestingly, Mr Jones also said that ‘he occasionally found common cause with New Zealand First it was only with the aid of a telescope that he might do the same with the Greens’. So he would prefer to work with a party that is consistently anti Māori rights and self-determination than with the Greens who present a vision completely compatible with kaupapa Māori. This is astounding. Labour really needs to rein in Shane Jones if a coalition between Labour and the Greens is seen to be palatable for voters. Labour won’t enter Government with New Zealand First alone. “Regional development is critical to the success of the nation’s sustainable economic growth, and more needs to be done at the regional level. In Ikaroa-Rāwhiti it is about people as much as it is about market drivers. Well said. This is such a stark contrast with Jones’ vews. Maybe Labour should make Whaitiri there Regional Development and Māori Affairs spokesperson. Her attitude is more in step with the times we live in. Labour's new leader is going to have to provide clarity on their deep sea oil drilling policy and their wider economic development framework. The key to the future of the Māori economy is investment in research and development and Māori innovation. Global investment in clean energy will reach $800 billion by 2015. It would be transformative for the Māori economy if we could get even just a small piece of this action. I blogged on Monday about the desecration of wāhi tapu that will occur if the planned motorway bypass in Kāpiti goes ahead, as looks likely. Later that same day, the ruling of the High Court on the appeals of Save Kāpiti and the Alliance for a Sustainable Kāpiti were made public. They rejected the appeals on all grounds. This is a win for the Government, and the conservative Kāpiti Coast District Council that has been working in an alliance with NZTA. It was due to local input, that the Government ended up doing the Western Link Road. Originally what was proposed was basically four-laning the current State Highway 1, but many locals were opposed to that, and hence the long sought after Western Link Road was then changed in design from two to four lanes to become the new SH1, and the existing section will become a local road. At best, this is Farrar being disingenuous. The initial proposal, which was so bad no one could it support it, was deliberately put up by the Government who knew it wasn't going to be accepted. They then did a round of so-called consultation that divided the community by proposing three different alternatives, all of which would have done significant damage to natural heritage, property values and the local economy in different areas of the Coast. It pitted local communities against each other, as you would expect. In reality, the majority of Kāpiti residents are opposed to a four-lane motorway dividing their community. But we are represented by a conservative council that hasn't stood up for the interests of the local community. Mayor Jenny Rowan is now complicit in the damage that this project will cause. It is infuriating to see her laud the High Court's ruling. She should be representing the interests of the community and fighting for the tangata whenua. David Farrar and other motorists in Wellington will apparently see 12 minutes cut off their travel times to Auckland if the entire Levin-Wellington corridor is built, but this is not justification enough for the project. Congestion in Kāpiti is minimal anyway. The real bottleneck areas are in Paremata and before Pukerua Bay. Also, the numbers don't stack up at all, it has a cost benefit ratio of only 0.2! That is incredibly low. It will also significantly damage the local economy which has been built around the current SH1, and our attractiveness as an area of retirement and raising a young family. Who would want to retire next to a trucking bypass? Councillor and mayoral candidate K (Guru) Gurunathan has said that Save Kāpiti has 'waged a heroic struggle' but that now we should stop protesting and let the Government get on with it. I know his wish won't be granted and the anti-expressway movement will continue to fight. An appeal to the Supreme Court is a possibility. Te Atiawa ki Whakarongotai Marae chairman George Jenkins said he believed there would be protests by individual iwi members and members of the public when construction started. Like George Jenkins I also expect protests, and probably land occupations. When our wāhi tapu are under threat, we won't sit meekly by and enable it's desecration. In my view civil disobedience is now inevitable. One thing I know for sure is that the bulldozers will have to get past me. The Greens have not traditionally been seen as a party of Māori aspiration, but instead as largely an urban Pākehā dominated party. There is a great deal of truth in this. But the history is more complicated than many realise. Support for the party among Māori has at times been high, and other times low. It has fluctuated with the stability and strength of the other parties. Te Roopu Pounamu, the Māori members' network of the Green Party, was established in 2000 and grew in strength as a voice for Māori in the party. With the leadership of Metiria Turei, the network succeeded in amending the party’s charter to recognise and commit to the Māori text of Te Tiriti o Waitangi. This was a defining moment, because it has ensured that there is one mainstream party with significant support that is committed to stand up against historical and contemporary breaches of Te Tiriti. I don't think Labour will ever commit to the Te Reo Māori text, and we need to remind our selves of that more often. The Greens polled very well in the Māori seats in 2002, with a Māori electorate party vote average of 10.5%, the year Metiria entered Parliament. However, the political climate dramatically shifted with Don Brash’s Orewa speech, the Foreshore and Seabed Act 2004 and the establishment of an independent Māori political voice, the Māori Party. Many of our members and voters were inclined to support this independent Māori voice, and so our support took a hit in the 2005 elections, an election that saw the emergence of Tariana Turia and Pita Sharples as significant and influential political leaders, with a huge range of support among Māori voters. We lost an average of -7.3% party vote in the Māori electorates, and this was a strong contributing factor to our close proximity to the 5% threshold in that particular election. The confidence and supply agreement between National and the Māori Party was the catalyst for another shift in the political climate. A steady stream of activists, members and supporters began dissociating themselves with the party and the Government it was supporting. This conflict came to a head with the departure of Hone Harawira from the Māori Party, which led to him forming the Mana Party. However, Hone and Mana haven’t been the only beneficiaries of the Māori Party’s decline. The Greens also saw a rise in support, in part due to this political shift, but also because of the ascension of Metiria Turei to co-leader and her ever-growing profile in Māori communities. Metiria has become a champion for wāhine Māori and Māori whānau and is immensely popular; particularly among young, educated Māori. With the exception of Winston Peters, she is the only Māori leader of a mainstream political party. The Greens support among Māori raised dramatically at the 2011 general election, a +6.3% party vote increase, largely due to the influence of Metiria, the relative decline of the Māori Party and the exposure of other Māori candidates in the party. Support for the Greens at least doubled, in some cases tripled, in all of the seven Māori electoral seats. Indeed, in Te Tai Tonga, Dora Langsbury and the Greens achieved second place in the party vote, the only other electorate the Greens have been able to achieve this in was in Wellington Central in the same election. Since 2011 Metiria Turei has continued to gain influence and popularity and the party has received more interest from Māori media and Māori political commentators. Following the death of veteran Labour MP Parekura Horomia the decision was made for the Greens to stand in the resulting by-election in Ikaroa-Rāwhiti. 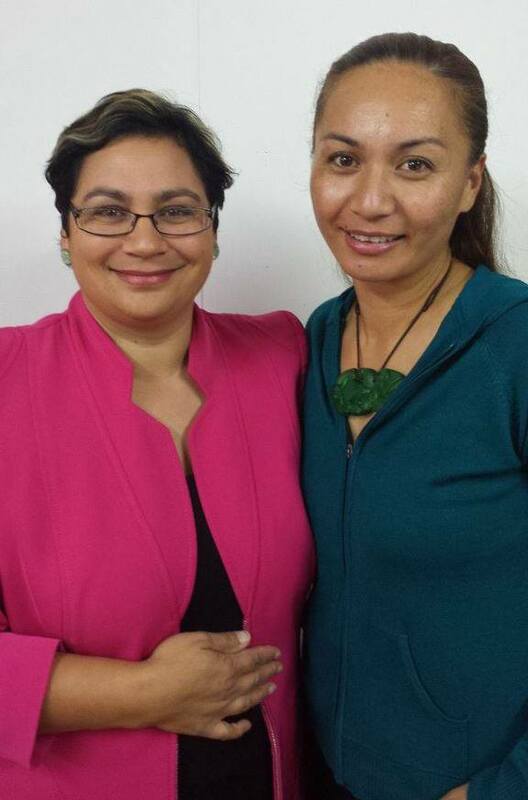 High profile indigenous rights activist Marama Davidson was selected as the Green candidate. Despite shockingly low voter turnout, and an older, working class voting base, Marama received 11.6% of the vote. This was the best result the Greens have achieved in Ikaroa-Rāwhiti and was the first time the Greens have stood in a by-election in a Māori seat. Due to the by-election the party can no longer be ignored and not seen as a credible option for Māori. It has staked its place in the Māori seats as a fresh and viable 21st Century alternative to the ‘old’ Māori politics of sectionalism and patriarchal leadership. The Greens also have a strong Māori caucus for a party of it's size. Denise Roche (Ngāti Raukawa, Ngāti Huri) and David Clendon (Ngāpuhi, Te Roroa) are talented MPs with significant experience in their respective portfolio areas; gambling, local government and waste in the case of Denise and small business, justice, police and Te Tiriti o Waitangi in the case of David. With the planned departure of both Tariana Turia and Pita Sharlpes, the key battleground seats in 2014 will be Te Tai Hauāuru and Tāmaki Makaurau. Tāmaki is particularly vulnerable for the Māori Party, and the young, fairly liberal electorate has the potential to have a significant swing to the Greens. The Māori Party is stronger in Te Tai Hauāuru but has no clear succession plan. It is also the home of the Ratana-Labour alliance. However, the Greens went from 3.5% party vote to 11.2% in the 2011 election in the electorate, coming third place in both candidate and party votes, ahead of the Mana Party. The Green Party does face significant challenges that it will need to overcome. However, all of these challenges can be met and if there’s anything that can be learnt from the last two decades in Māori politics, it is that the pendulum of Māori political support can swing quickly and in sometimes unexpected directions. History has proven that we as Māori are willing to test new political options and vehicles of Māori aspiration. With their track record, values and personality the Green Party occupies a prime position to be able to be a powerful voice for our people both in Parliament and on the streets. One of this Government’s many disturbing characteristics is its indifference towards the effect of its infrastructure projects on Māori wāhi tapu. We have seen on multiple occasions that it will prioritise the interests of the trucking industry above all others in relation to major motorway projects. It’s actions have been morally repugnant. I have previously blogged here on the Kāpiti Expressway and at that time I labeled it ‘an attack on community values and tangata whenua rights’. This was when the EPA gave the green light to this massively destructive project that is opposed by the vast majority of the Kāpiti Coast community, Māori and Pākehā. The latest development in this sad saga is the decision of the Government to ‘turn the sod’ on their project this week before the Māori Land Court has decided upon the appeal of Patricia Grace and the High Court has decided upon action from Save Kāpiti and the Alliance for a Sustainable Kāpiti. Patricia Grace is an affected free-hold land owner, and along with the Takamore Trust and the Historic Places Trust is actively opposing the project that will desecrate our turangawaewae. Grace, who is of Ngati Toa, Ngati Raukawa and Te Ati Awa descent, made an impassioned submission at an expressway hearing before the road was given the go-ahead. "It is where my ancestors established homes, gardens and constructed birthing units, and buried the placenta [pito] of their offspring back into the whenua. "It is where they discussed, negotiated and made important decisions for life and survival. "I do not believe there should be any further alienation of Maori land, particularly sites of cultural and historical importance. We know there are burials on my land . . . our ancestors have given much to this community, let them rest in peace. So little of our Maori freehold land remains in Maori hands." Her great-great-grandfather Wi Parata lived in and had cultivations around the village, she said. She has applied to the Maori Land Court for the land to be set apart as a Maori reservation. The Government wants to portray that the result of this project is a foregone conclusion, but they have a long way to go to build this motorway, and we still have time to oppose them. Opposition group Save Kāpiti has planned a protest at the ‘turn-the-sod’ ceremony which will be attended by ministers, most likely Nathan Guy and Gerry Brownlee. I would encourage Kāpiti residents, and anyone who cares deeply about tangata whenua rights to come and support this protest and stand in solidarity with Patricia Grace, Takamore and Te Āti Awa ki Whakarongotai. It is scheduled for Thursday 22 August at 12 noon at 220 Otaihanga Road, just outside Southward Car Museum. This may be our last chance to protest this before the bulldozers move in. This is the last unspoiled wāhi tapu on the Kāpiti Coast and we must unify as Māori like our tupuna did to protect it. UPDATE: The New Zealand Transport Agency has announced that they are no longer intending to hold the ceremony this week and that it was just an 'option' to do so. I think this is revealing of the situation; Gerry Brownlee would have been pushing NZTA to get on with it, despite High Court action. Brownlee himself is probably been pushed by Steven Joyce, who is the architect of the Roads of National Significance projects. NZTA clearly have a bit more sense than they do. However, they will continue to rush forward with these projects so that it if Labour and the Greens enter Government in 2014, the projects will be irreversible. The fight goes on, we must stand in solidarity against this top-down Government oppression of tangata whenua and the wider community. Public bodies and public functionaries aren't immune from criticism. If an organisation or person is performing a public function - like the Kohanga Reo National Trust Board - criticism comes with the territory. The Kohanga Reo National Trust Board is accountable to the public. They operate with public money for the benefit of a segment of the public. That makes their attempt to stifle criticism anti-democratic, petulant and oppressive. Last week the board instructed their lawyers to inform TangataWhenua.com that they had published allegdly defamatory material. The letter demanded that TW.com remove the allegedly defamatory material. As is their duty, TW.com kept the material up and published the threatening letter. The board has no moral right to threaten defamation. The criticisms directed at the board are part of the democratic process. The board isn't some private citizen with immunity from criticism. They're accountable to the public. It's a dark day for democracy when a public body attempts to silence its critics. The board doesn't understand how a democracy works. It's not hard. The Minister of Maori Affairs must step in to clean up the mess that's been created. Peter Lineham has a new book - Destiny: The Life and Times of a Self-Made Apostle. A kind-of-but-not-really authorised biography of Destiny Church and its leader. The book covers the history and rise of the church, but attention has revolved around Lineham's claim that coverage of the church carries racist undertones. I'm still skeptical. Brian Tamaki put his neck out. Destiny Church runs religious programming, applies for government funding and has led (bigoted) social causes. Even if the claim is true, there's only so much sympathy you can hold for a perpetrator of bigotry complaining of like treatment. Coverage of Destiny's can be alarmist, though. New Zealand's other pentecostal churches - despite running religious programming, tithing, and running social programmes - don't register. Destiny Church (Tamaki especially) juts against narratives we expect of Maori. He's flamboyant (which is grates against the kiwi character too) rich and proud of his heritage. Tamaki and the church reject assimilation and integration and have created their own ideologies. That's sometimes perceived as a threat. My problems are with the Church's ideology. It represents a sickly fundamentalism fused with Maori undertones. The patriarchal views Tamaki perpetuates are outdated and have no place alongside Maori culture or in 21C New Zealand. The good the church does - and Lineham highlights it - doesn't negate the bad. The masculinity that men are encouraged to conform with is toxic and the role of women's wrong on so, so many levels. But maybe I'm an elitist. And maybe I'm not in the best position to comment. I can't bend my worldview to see things from Destiny's point of view or its members perspective. But I'm not going to extend much sympathy for a bigot becoming the victim of bigotry. I'll pass on Lineham's book. It’s a proud day for her, her whanau, hapu, iwi and Ikaroa-Rawhiti. All power to her. However – and this isn’t necessarily a criticism – a Maori Party MP could've delivered the speech without without fuss. On close examination there’s little that separates Labour’s Maori Caucus from the Maori Party. The divide is more circumstantial than ideological. The greater divide is between Mana and Labour. Mana offers a working class critique of Maori society and the Maori economy. Generally speaking, Labour favours the capitalist co-option approach that the Maori Party has adopted. There’s a wealth of talk over the “Maori economic renaissance”, but precious little discussion on how we can ensure the fair distribution of the benefits of that renaissance. Iwi should have strategies to avoid replicating inequality. We don’t want the gap between Maori and non-Maori replicated on a micro-level or iwi level. The discourse has to shift and include development and fair distribution.